Most people know movement is an important part of any health regime. Unfortunately, many people stop moving when it becomes painful. Most pain intensified by movement occurs after an injury and ongoing when inflammation. So let’s explore a few ways herbal medicine can resolve inflammation by looking at herbal medicine helped heal a broken ankle. If you hang out with herbalist long enough, you will hear someone say, if you have broken leg go to emergency, not the herbalist. Yet, last month I helped someone heal up a broken ankle after she went to emergency, and they could not do anything for her. There were several concerns with the ankle. Comfrey contains a phytochemical called allantion. Allantoin enhances the healing of wounds, tears and breaks in connective tissue. I have used it to help heal tendons, ligaments, bones and skin tears. During inflammation’s final phase the body makes what is called granulation tissue. Granulation tissue is what knits the wound back together. Allantoin increases the body’s ability to make this unique healing tissue, the final resolution of inflammation. Please note the safest way to take comfrey. If you are taking comfrey internally, make a tea with leaves. If you are applying it topically, use an infused oil of the root. St John’s Wort is a complicated herb. What one of the reason inflammation can linger is the debris (toxins) created by the wound, and the healing is not removed promptly. One reason is, the liver is overwhelmed by work! St John’s Wort helps flush toxins from the liver. An efficient liver is essential for good health and healing. St John’s Wort also contains high levels of flavonoids. Let’s explore quercetin, a flavonoid that is found in St John’s Wort. Quercetin is an anti-oxidant. The inflammatory process creates considerable debris made up bits of dead cells formed during the healing of the wound. Some of this debris are loose oxygen molecules. Oxygen is a very combustible molecule. Think of the flame in a circle on an oxygen tank. In our body, loose oxygen molecules are also explosive. They cause small explosions that damage cell membranes resulting in more inflammation. 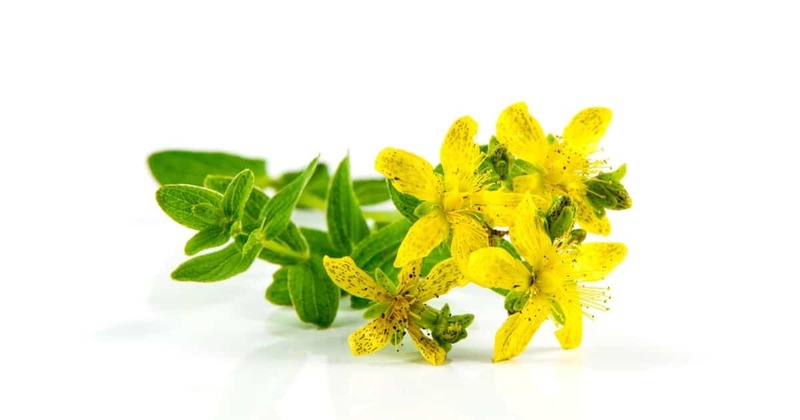 Taking herbs, like St John’s Wort limits the damage loose oxygen molecules can create and shortens the period of pain and inflammation. Part of the pain experienced during inflammation is caused by damage to the tips of nerves. St John’s Wort is famous for healing damaged nerve tissue. In this way, the pain is resolved not by shutting down the inflammatory process but by healing the damage that causes it in the first place. If a wound, break of inflammation will not heal, think of yarrow. Remember part of the inflammatory process is cleaning up the debris from the injury. Yarrow excels at this. I have seen yarrow clean up 10-year-old bruising. “It just never healed properly,” she said and was amazed at what taking yarrow for three weeks did. Yarrow brings completion to the inflammatory process. Also like St John’s Wort, yarrow is high in flavonoids and limits the inflammatory activity of free radicles. There are many different analgesic herbs. Poplar like so many other herbs, willow, birch, meadowsweet, is high in salicin. It was from salicin that the first NSAID drug aspirin was made. But in that case, salicin was turned into salicylic acid and then into the over the counter painkiller. In a plant, salicin does not become salicylic acid, the analgesic, until it is absorbed through the gut and into the bloodstream. Once in the blood, it becomes salicylic acid. Interestingly, while moderating the experience of pain at the site of inflammation, it does not like NSAID stop the completion of the inflammation process nor carry the harmful side effects. It is however very bitter medicine, so prepare your palate. These for plants relieved the swelling and bruising, eased the pain and healed up the bone. They supported the efforts the body made to heal. They did not stop the inflammation; they brought it to resolution.